MK Reed has an ear for what's funny, and a polished dry delivery that makes her comics exciting to read. 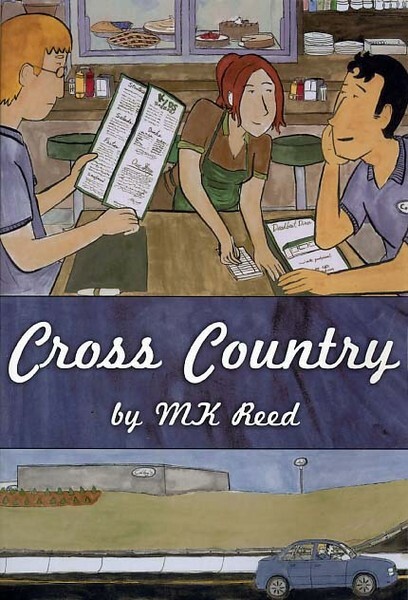 Cross Country is about protagonist Ben's journey across America. But far from the traditional wild and unbridled roadtrip, Ben's trapped on a corporate business trip with his co-worker Greg, who is a total jerk. The story follows Ben as he visits his ex-girlfriend, writes a series of seething postcards, and tries his damnedest not to kill Greg. Log in to get emails when MK Reed has something new.